The NITI Aayog still has a long way to go before it establishes itself as an independent and credible think tank in contributing towards inclusive policy making, the report said. NEW DELHI: Since its inception, the Niti Aayog has paid more attention to privatisation and has argued for reducing the government’s role in providing essential services, according to the Centre for Equity Studies’ India Exclusion Report, 2017-18. 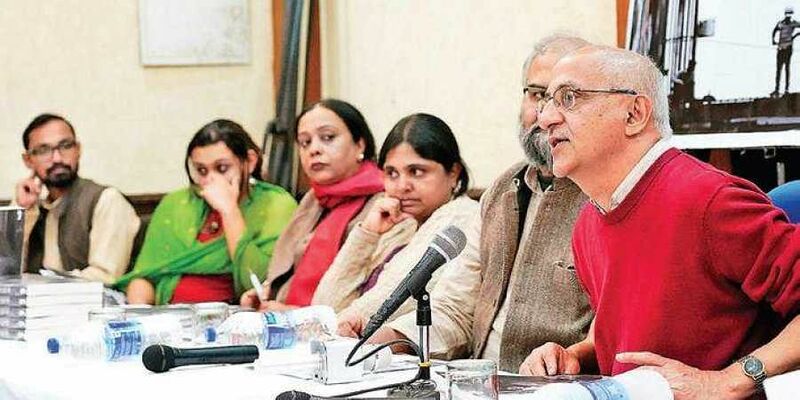 The report was released on Tuesday in the capital by the institute’s director Harsh Mander. The NITI Aayog still has a long way to go before it establishes itself as an independent and credible think tank in contributing towards inclusive policy making, the report said.The abolition of the Planning Commission and the constitution of the Niti Aayog has not been effective, the report said. The report also says the abolition of the commission has adverse implications for decentralised planning and social equity. “In terms of the broad policy direction, the NITI Aayog has not been able to make a clear distinction between the roles and responsibilities of public and private sector,” says the report, which aimed to examine the possible consequences of the recent changes on decentralised planning after the Planning Commission was dismantled. Given widespread poverty in the country, the government should intervene with pro-people fiscal policies, the report recommends. The report’s chapter on Financial Inclusion — Access to banking and credit — also criticised how demonetisation exacerbated the ongoing agrarian crisis. People’s ability to spend and receive wages was hit with 84 per cent of the cash in the economy made invalid with demonetisation, the report says. The report also delved into the themes of exclusion in Indian higher education, fair trial rights and death penalty and urban homeless people with mental illness, among others.